A passport valid for six months beyond the date of entry is required by all nationals referred to in the chart above. 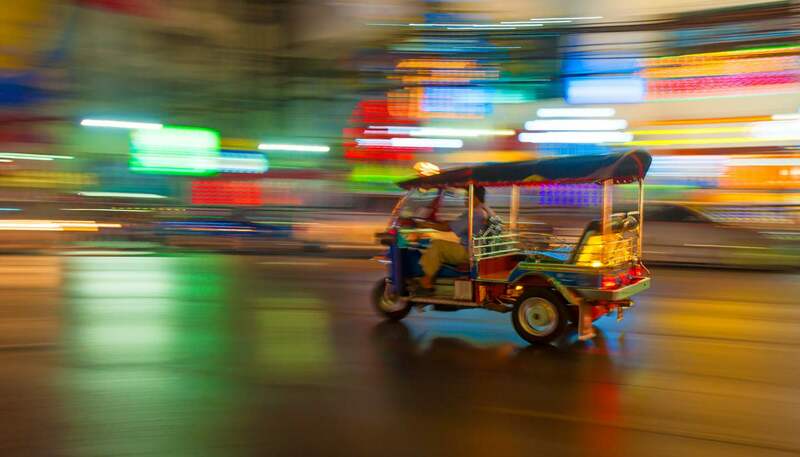 Due to issues with 'begpackers', Thailand now requires travellers to provide proof of sufficient funds and a confirmed ticket to leave Thailand within the time of their entry stamp when entering the country. Please see the visa section for more information. Visas for Thailand are not required by all nationals referred to in the chart above for touristic stays of up to 30 days if entering via an international airport or through a land border checkpoint from neighbouring countries. Please check with the authority if you are entering via a sea port. 1. Nationals of Andorra, Bulgaria, Cyprus, Latvia, Lithuania, Malta, Romania and San Marino can apply for visas on arrival for stays of up to 15 days. Please see the information under the header Visa on arrival below. 2. Nationals of Croatia must apply for a visa in advance from the embassy. Nationals from 55 counties can enter Thailand without a visa for tourism purposes for up to 30 days. These countries are: Argentina, Australia, Austria, Bahrain, Belgium, Brazil, Brunei, Canada, Chile, Czech Republic, Denmark, Estonia, Finland, France, Germany, Greece, Hong Kong, Hungary, Iceland, Indonesia, Ireland, Israel, Italy, Japan, Kuwait, Laos, Liechtenstein, Luxembourg, Macau, Malaysia, Monaco, Mongolia, Netherlands, New Zealand, Norway, Oman, Peru, Philippines, Poland, Portugal, Qatar, Russia, Singapore, Slovakia, Slovenia, South Africa, South Korea, Spain, Sweden, Switzerland, Turkey, United Arab Emirates, United Kingdom, United States, Vietnam. • Foreigners who enter Thailand under this Tourist Visa Exemption Scheme may only do so for 30 days at one time with a maximum of three times in a 6-month period by flight and two times a year for overland crossing. • A fee of 2,000 THB. This must be paid in cash and in Thai currency only. The amount is subject to change without notice. ACMECS visa refers to a single visa that allows visitors to enter two countries (Thailand and Cambodia) for the purpose of tourism and up to 60 days in Thailand and 30 days in Cambodia. At present, nationals from these 35 countries can apply for ACMECS Single Visa: Australia, Austria, Belgium, Bahrain, Canada, China, Denmark, Finland, France, Germany, Greece, Hong Kong, Iceland, Israel, Italy, India, Japan, Kuwait, Luxembourg, Netherlands, New Zealand, Norway, Oman, Portugal, Qatar, Spain, South Arica, South Korea, Sweden, Switzerland, Turkey, United Arab Emirates, United Kingdom and United States. Nationals not referred to in the chart or above are advised to contact the Thai embassy to check visa requirements. On arrival: tourist visas cost TH฿2,000 (this may change without prior notice). In advance: single-entry tourist visa: GB£25 (US$40); multiple-entry tourist visa: GB£125 (US$200). Non-Immigrant single-entry visa (business, work or study): GB£50 or US$80; Non-Immigrant multi-entry visa: GB£125 or US$200. ACMECS visa: fees depend on the country in which you send in your application. In advance: single-entry tourist visa is three months; multiple-entry tourist visa is six months. Non-immigrant single entry visa: three months; non-immigrant multiple-entry visa: up to one year. Some nationals require a transit visa; check with the embassy. Transit visas are valid for three months, allowing holders who are travelling to Thailand to stay in the UK for a maximum of 30 days. This visa can be obtained in person at the Thai embassy for GBP£25 or USD$35. Nationals of some countries can obtain a transit visa via post, check with the embassy for more information. Travellers can apply in person at the nearest consulate (or consular section at embassy) between 0900-1200. Nationals of some countries can obtain a visa on arrival and via post, check with the embassy to find out the requirements. For ACMECS visa, please apply at the Thai embassy. Visitors to Thailand who wish to conduct business, work or study in the country can apply for a non-immigrant visa. This allows holders a stay for up to 90 days. In addition, to be able to work, visitors must hold a work permit issued by the Ministry of Labour. Visas usually take two working days to process if submitted in person, or if applied via post, it could take between three to five working days. It varies depending on where you apply for your visa. The Thai embassy in Laos and the UK issues visas overnight, but the Thai embassy in Cambodia takes 4 working days. Due to issues with 'begpackers', proof of adequate finances for the duration of your stay in Thailand is required at the point of entry into the country (please see the information under 'Visas'). The arrival card TM6 needs to be filled in during the flight and shown to border officials on arrival and on departure. Visa-exempt nationals wishing to leave Thailand and re-enter the country after their initial 15 or 30 days may only stay for a maximum of 90 days in a six-month period. Be wary of visa-run or visa extension services offering to renew your visa - these are illegal and each year a number of tourists are jailed, having turned up to border crossings with a fake Thailand visa or entry stamp in their passport. Thailand visa extensions must be made before the current visa runs out. A lengthy overstay can incur a maximum penalty of a time in jail before being deported and banned from returning to the country. If you wish to extend your stay, contact the Immigration Bureau (www.immigration.go.th). Children travelling with one parent or alone must have a notarised letter of consent from one or both parents. Pets must first be microchipped and vaccinated against rabies (between 21 days and 12 months) before entering the country. An import permit is required if staying at the country longer than six months and bringing three or more pets. Pets younger than four months and the breeds of Pit bull Terrier or American Staffordshire Terrier are prohibited from entering the country.